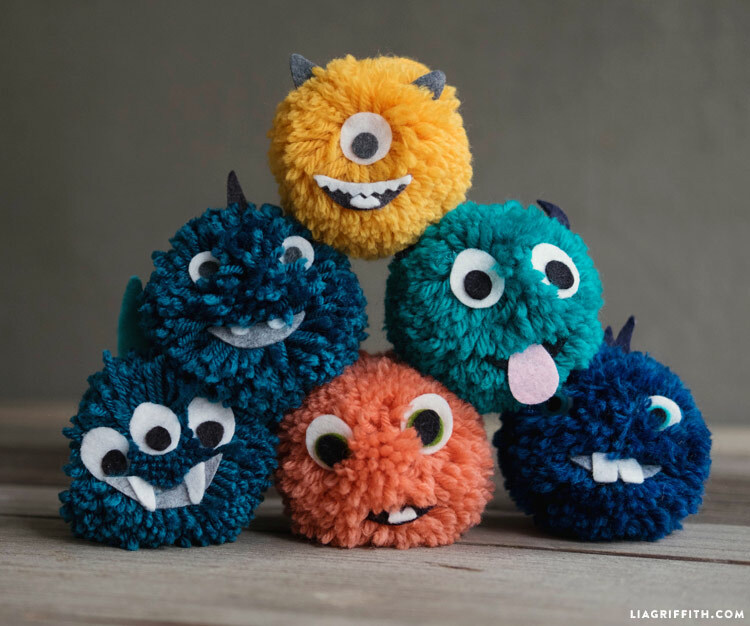 Pom, pom, pom, pom, pom, pom, pom! Pom-Poms are everywhere! I know they started trending a while ago. . . maybe years. I'm here to tell you that I'm just NOT going to be on the front part of that trendy bell curve any more. I'm a 46 year old mom who is buried in laundry, dishes and soccer practices. 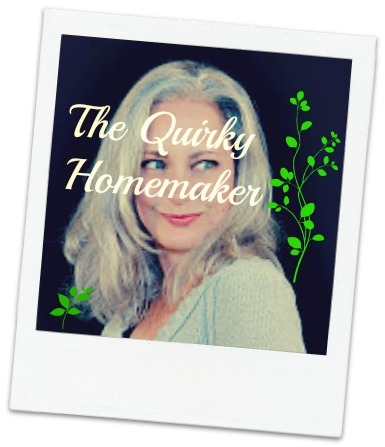 Right now we're dealing more with hormones ~~ my menopausal hormones and my kids puberty hormones~~than trying to keep up with trends. But I still LOVE seeing the pompoms. I remember back in the 70s and 80s when we used to make homemade pompoms and put them on the front of our roller skates or saddle oxfords, which incidentally, are also back. 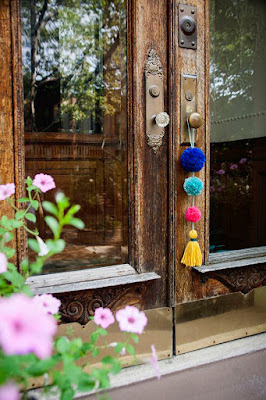 I'm probably a little too old for saddle oxfords and pompoms right now, but I might wear a pompom necklace or decorate my porch with pompoms. Whether you craft with homemade yarn pompoms or the tiny little store-bought pompoms, here are some super cute DIY pompom crafts. As always, the links to the original creator are in the caption of the photos. Enjoy and be sure to let us know which is your favorite craft! 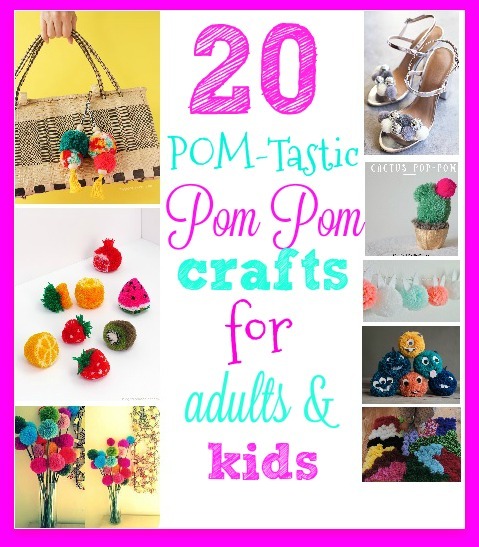 I've also Pinned a lot of different pompom inspiration to my Pompom Craft Pinterest board. Here are my top 20 picks! 1. 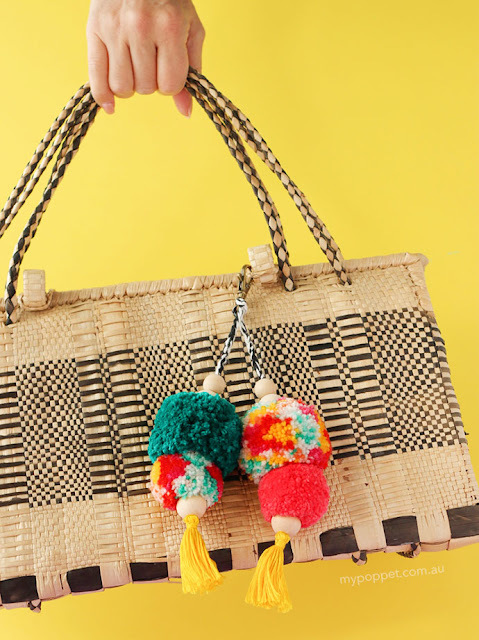 How cute are the pompoms on this handbag? Super stinkin' cute! 2. 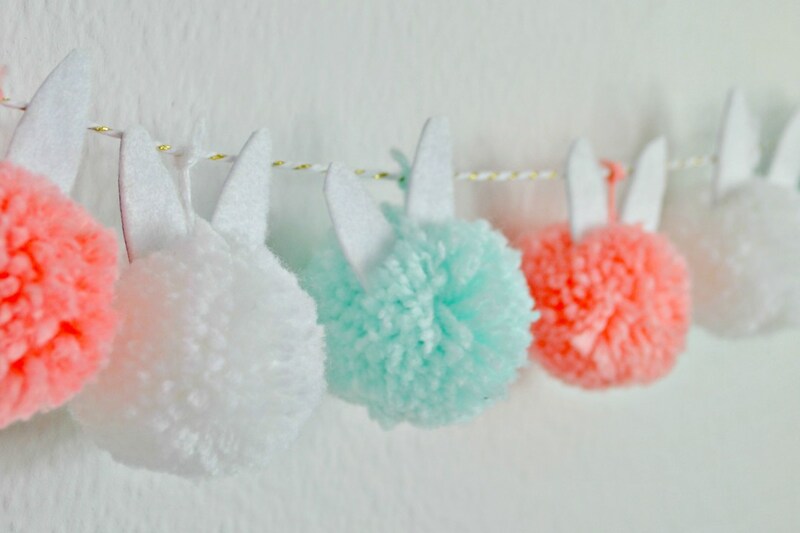 These DIY PomPom letters are super cute. 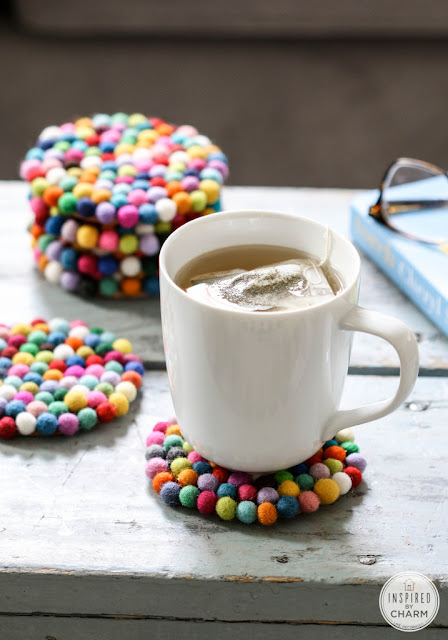 They were originally made for Mother's Day, but could be made for any fun occasion or room. 3. 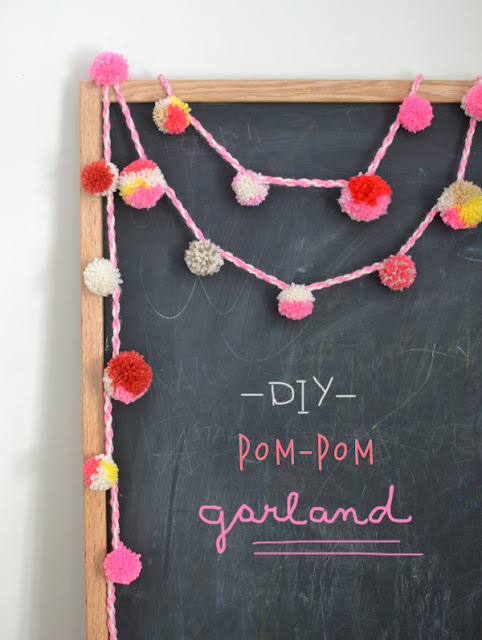 I've seen several pom pom garlands in the past few years. Here is a tutorial for a pom pom garland. 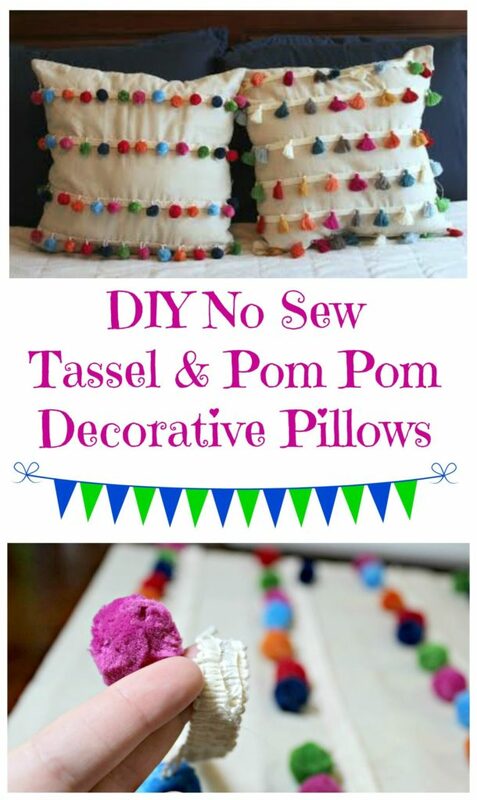 She used a pom pom maker, but pom poms are pretty easy to make without one if you don't have one. 4. 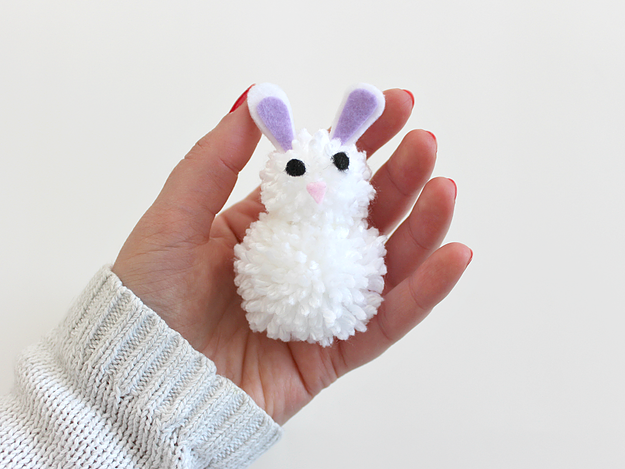 This next craft uses the tiny little store-bought pom poms and is a cute kids craft. Plus, they're magnets! 5. 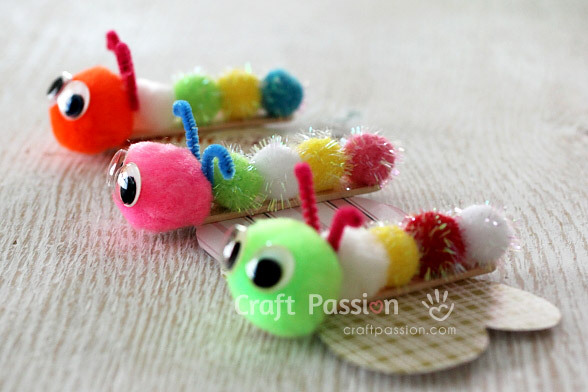 The next craft would be cute for Spring. I believe they were made for Easter, but I think they would be cute any time. 6. The next one is a bunny garland. I love that the little bunnies only have ears and no other facial features. Simplicity. 7. 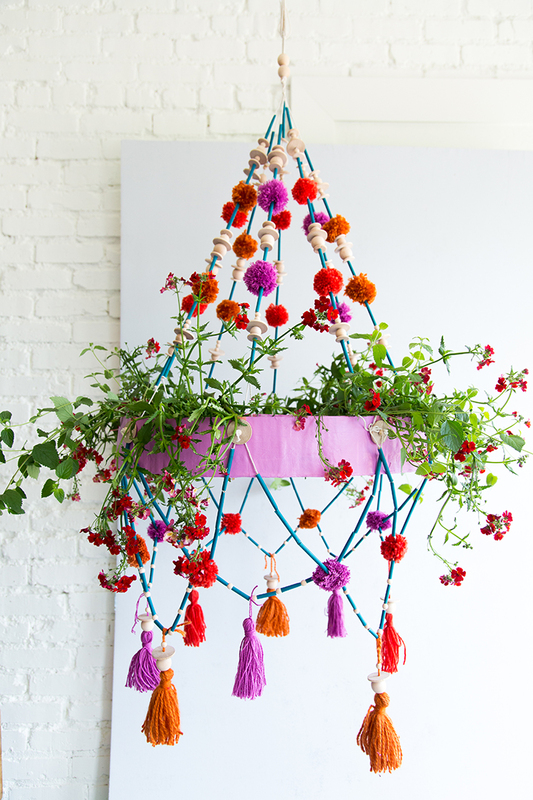 I love the fun, bright colors and the simplicity of the next craft. 8. 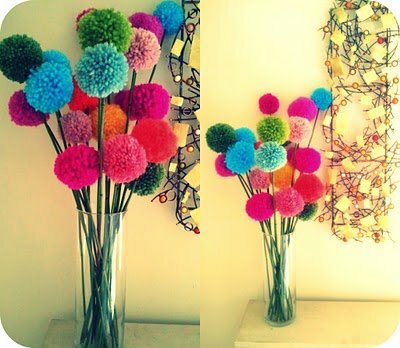 I can not speak whichever language this next blog is written in, but this colorful bouquet of pompoms is just too cute. 9. How about a little basket of PomPom fruit? 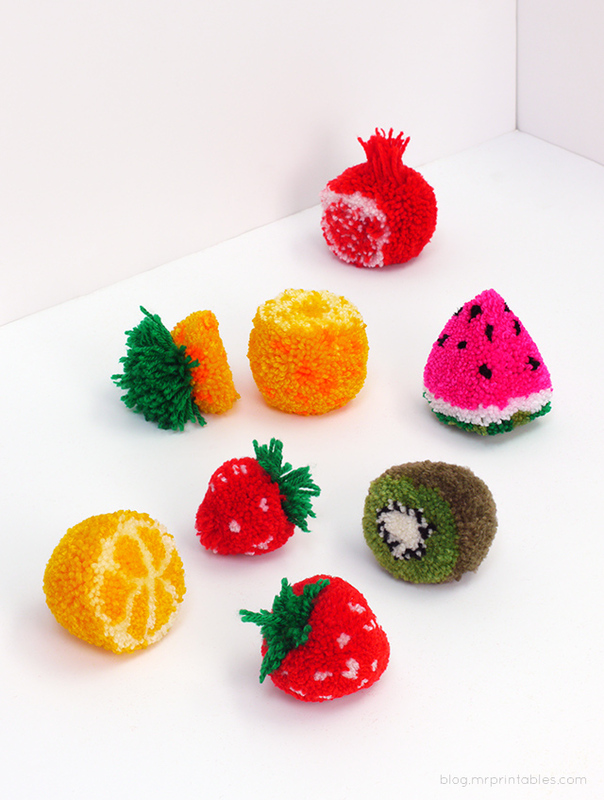 These pompom fruit are brilliant! 10. This is another one that looks like it uses a pompom maker, but I'm sure you could do it with a piece of cardboard. How cute is this puppy? And much easier to take care of than a real puppy! 11. Grrrrrr! Yarn Pompom monsters! 12. 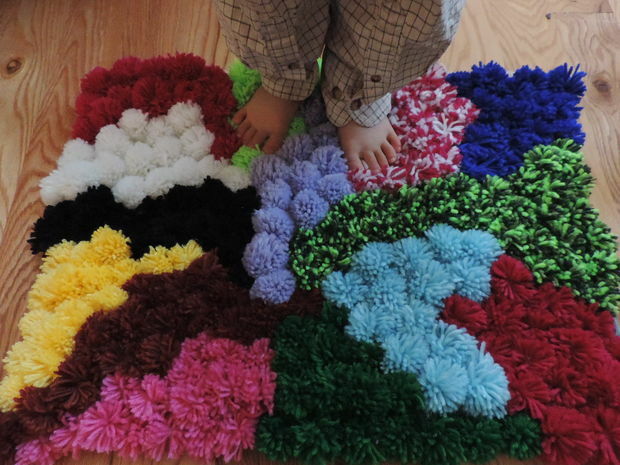 If you think the pompom rugs are cute, but think, "Good grief! Who has the time? 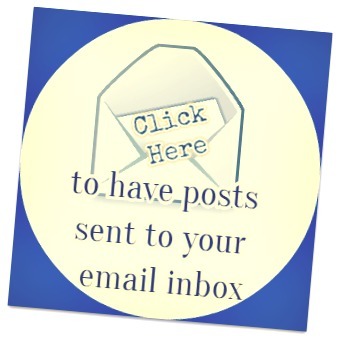 ", this post is for you. 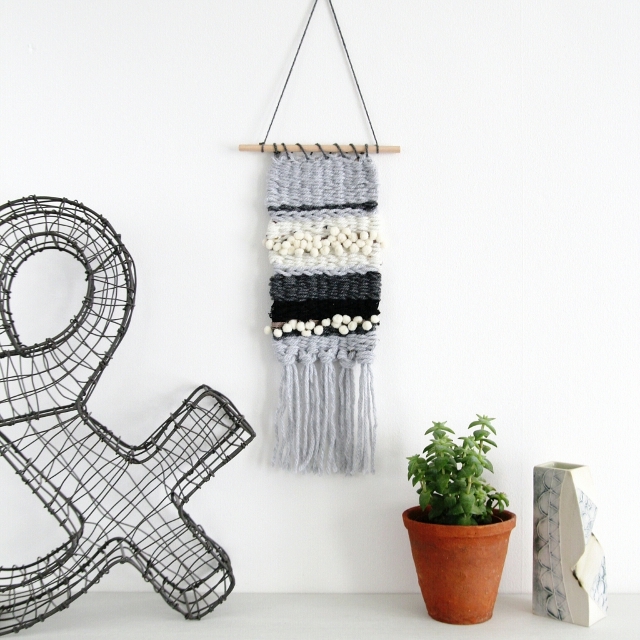 How to quickly make a pompom rug. 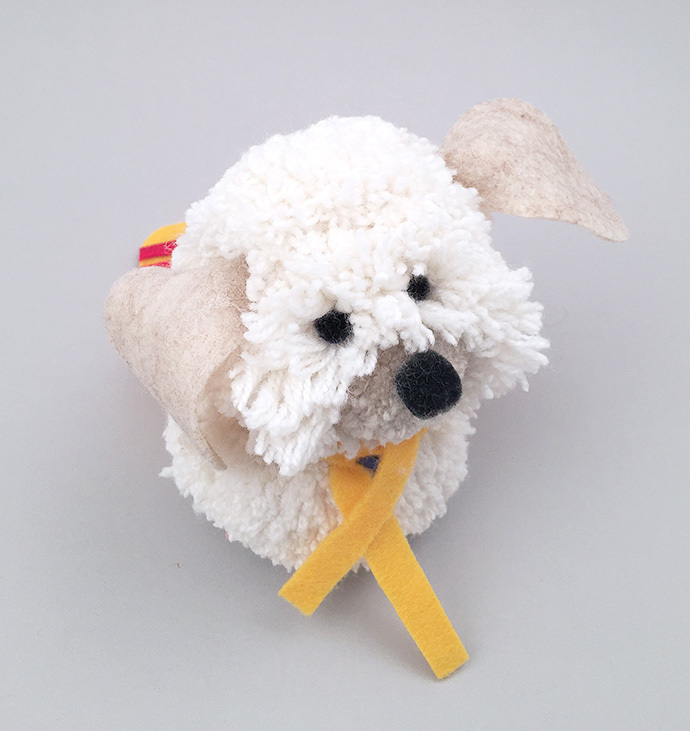 It has a pompom making shortcut. 13. I'm thinking these might be cute in black and white for my porch, although I DO love the colors. 14. It's almost Summer here. . . . . . here's an ice cream cone that won't cause you to gain a pound. 15. I had to. Seriously. You know I did. 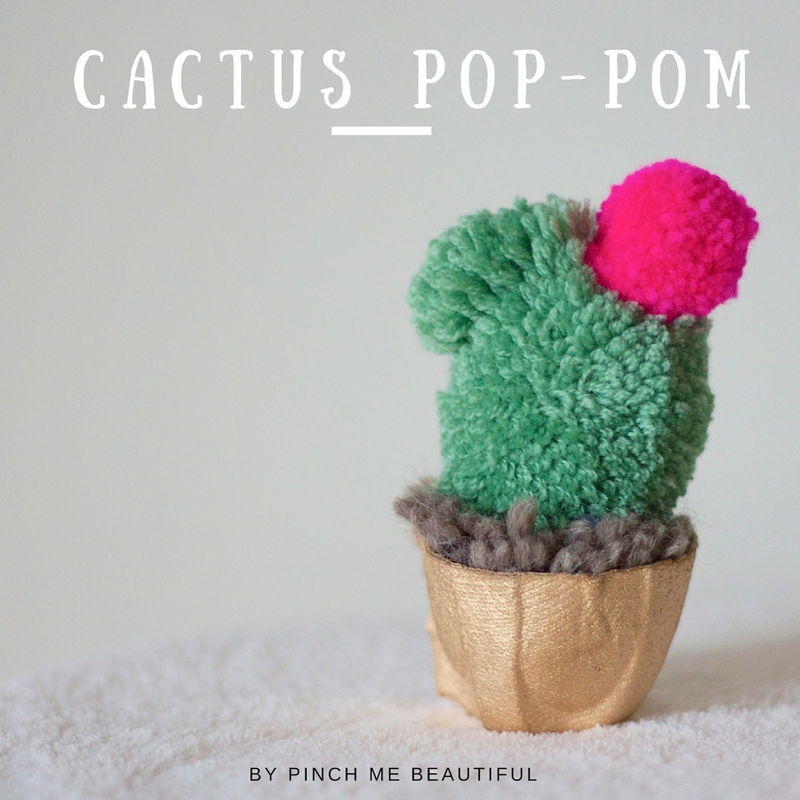 I had to share this Pompom cactus. 16. If you're not a sewer, this next project might be the project for you. 17. We did this next craft a couple years ago. Our sticks have long since broken. . . . they got moved too many times by a girl who changes her room around weekly. Almost. It was super cute when we made it, though. 18. Need some creative ideas for shoes for a night out? Check out these DIY Disco shoes. 19. I have no idea what a Pajaki Planter is, although I have a lot of Polish friends who might be able to tell me. I guess it's a Polish chandelier planter? It caught my eye for some reason. 20. This next one is more about the weaving than the pompoms, but I thought it was cute. Plus, it seems somewhat easy. 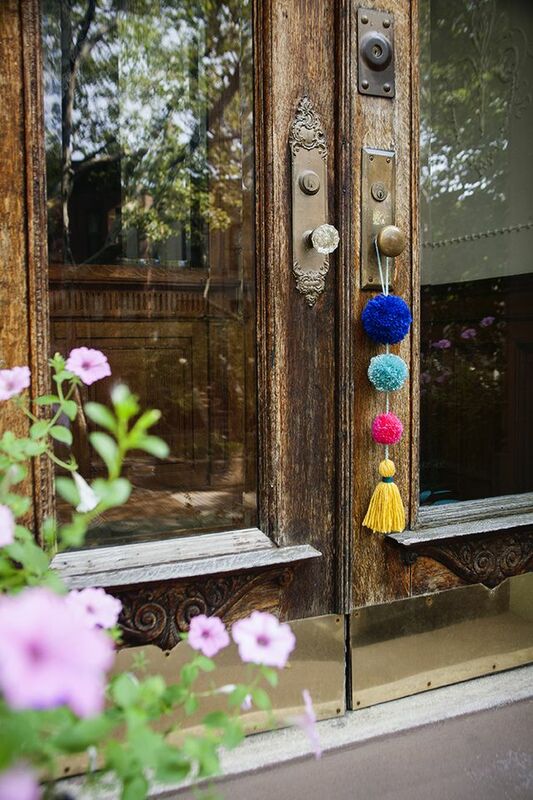 Which is your favorite use of PomPoms?